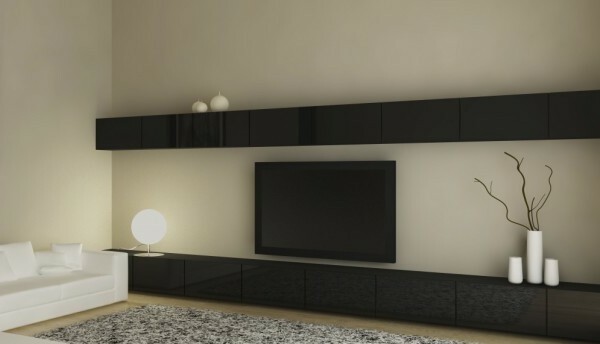 Aussie Services Team offer TV wall mounting services in Melbourne, wall mount TV’s and LCD TVs in St Kilda, Brighton, Toorak, East Melbourne, South Melbourne, South Yarra and Malvern. We can help get your new TV up and running as part of the TV wall mounting service or even separately – just ask! Aussie Services Team also offer commercial Audio Visual installations for televisions and projectors in offices, shops, schools and betting shops, conference centres, pubs, clubs and bars across Melbourne. Aussie Services Team can assist with your PC Installation and integrate your electronic devices to complete your home entertainment system experience in Melbourne, St Kilda, Brighton, Toorak, East Melbourne, South Melbourne, North Melbourne, Windsor, Malvern and surrounding suburbs. PC Installations include: Windows 7 installation, Apple Mac and Iphone setups, Migrating from Windows to Apple and visa versa. Impartial advise on product recommendations to best suit your purposes. What is Home Technology Integration? A well designed home entertainment system combines all your electronic systems: Home Cinema, music playback, music zone control, lighting control, security, central heating, air conditioning control, electric gates and water fountains – even fireplaces. Anything electronic can be combined into one intuitive, seamless control system. Depending on your budget, literally anything can be made to work together. With a correct PC installation, we can install your home with high end control systems such as Crestron or Pronto. But, at the other end of the scale, did you know you can also use your PS3 or Xbox 360 as an entertainment hub or media centre? Or even use your PC as a home theatre? It’s called HTPC. We can put one together for you or install an off the shelf unit. Let us show you how. We have the experience and ability to tailor a solution for your requirements. A Home Theatre PC (HTPC) or a Media Centre is a convergence device that combines some or even all the capabilities of a PC with a software application that supports and makes it easy to store and retrieve video, photos, music, and sometimes allows digital video recorder functionality. Any modern games console can be used as a media centre. Using the console this way can allow you to watch Television and films, play music, access Youtube, Facebook, Twitter and surf the internet from your main TV or any other TV in the house. To show a full range of services click to our home page! Aussie Services Team install Smart home automation systems in Melbourne, TV installations St Kilda, Brighton, Toorak, East Melbourne, South Melbourne, North Melbourne, Windsor and Malvern. A Smart home is a property where all or some of the electrical systems can be controlled by a computer. Lighting systems, roller blinds, home entertainment systems, security cameras and surveillance systems, mood and ambience settings, and even the control of the central heating or air conditioning systems. You can integrate as little or as much of the electronic systems in your home as you want. The central heating, lighting, air conditioning, security and audio visual systems can be made to work together, so the curtains can be drawn at certain times from your iphone or desktop. Maybe you would like the heating and lights switched on, the oven pre-heated and your favourite music playing when you arrive home. It can all be done with a home automation system. What can a smart home system do? You can link any electronic system together. So for example, the heating can be adjusted and the lights dimmed from one control panel while you sit on the sofa. If you are away from home, images from a security or CCTV camera outside or inside the property can be displayed on your remote PC, laptop or smart phone when movement is detected. LED lights set into the ceiling and walls can be used to create mood zones. What sorts of manufacturers make Smart Home technology? At the moment the leading manufacturer in Smart home technology and home automation is Crestron. Philips Pronto is another good brand. We supply, design, plan, install and integrate all leading brands of home automation technology. Aussie services team provide a cable tidying service in Melbourne, St Kilda, Brighton, Toorak, East Melbourne, South Melbourne, North Melbourne, Windsor and Malvern. Loose cables behind or under your TV can be irritating. They look ugly and they can also be dangerous. Get your wires and cables back under control with a cable tidying service from one of our AV engineers. We can sort your cables out, tie them together and setup your TV, surround sound and computer system to look neat and tidy. We can hide the cable from your TV with trunking or conduit. We are specialists in hiding cables behind plasterboard walls and we can even chase out concrete or brick walls, bury the cable and re-plaster and decorate. Over time, as you add more electronics to your home entertainment system, the cables become tangled and untidy. If they are well hidden behind a cupboard they don’t usually cause a problem. But if you are looking to tidy up the space, remove the cupboard or replace some of the electronics boxes – maybe our AV engineers can help. Our AV engineers can hide cables with conduit and trunking. You may also find that you have a lot of unnecessary wires and cables. These can be removed or replaced with shorter cables to give a tidy finish.